Join us on a journey into the wonders of Nordic winter traditions! As our families from Denmark, Finland, Iceland, Norway, and Sweden gather to celebrate the season, let the haunting melodies, breathtaking dance, epic folk legends, and joyful carols get you into the holiday spirit! Discover mythic drama from Finland’s epic Kalevala. As the moon lights the snow, watch the spirited Icelandic Vikivaki as a mysterious stag looks on. Celebrate the Swedish “bringing of the light” by Sankta Lucia with her crown of candles. Watch dancers twirl in the hypnotic Telespringar and thrill to the spectacular leaps of Norway’s Halling dance. Be enchanted by the songs and dances of our children, and participate in their retelling of a beloved Norwegian fairy tale. Delight as we decorate our tree with traditional woven hearts and raise your voice with us in festive Danish toasts and carols. Revel with our cast of over 100, ages 8–85, as we journey to the Northlands. Washington Revels’ flagship production, The Christmas Revels, is an annual festive celebration of the Winter Solstice and the return of sun and light after the “shortest day.” Through music, dance and drama, it draws on traditions and rituals from many lands, peoples, and eras — medieval, Renaissance and Victorian English, French, Russian, Roma (Gypsy), African-American, Nordic, American Appalachian, Native American, Renaissance Italian, Québécois, medieval Andalusian (Sephardic, Arabic and Spanish), southern Balkan (Bulgarian, Greek and Thracian Turkish), Irish, and more. *Please Note: In addition to lower per-ticket fees, purchasing tickets online allows you to select the exact seats you want. Ordering “By Phone” gives you the “best available” seats according to a computer, which may not reflect your judgment as to what is best. Save money and bring the whole family on Friday night!! Please Note: Discounted Youth tickets do not count toward 10-ticket and 20-ticket thresholds for purposes of group discounts. Merja Soria, a native of Finland, was the first Finlandia Foundation “Performer of the Year” in 1996. 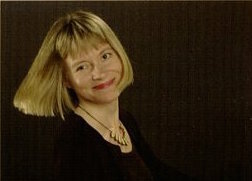 She received an MA in Music at the Sibelius Academy in Finland and has taught Finnish music at San Diego State University and University of San Diego. In 2005, she received an award at SDSU for Academic Excellence and Community Outreach. Merja has performed at the Los Angeles Music Center, Smithsonian Institute in Washington DC, Toronto Centre for the Arts, Peninsula Music Fair, and many other music festivals in the US and Europe. Currently, Ms. Soria teaches the young children of San Diego at her own music program, Miss Merja‘s Music Room. 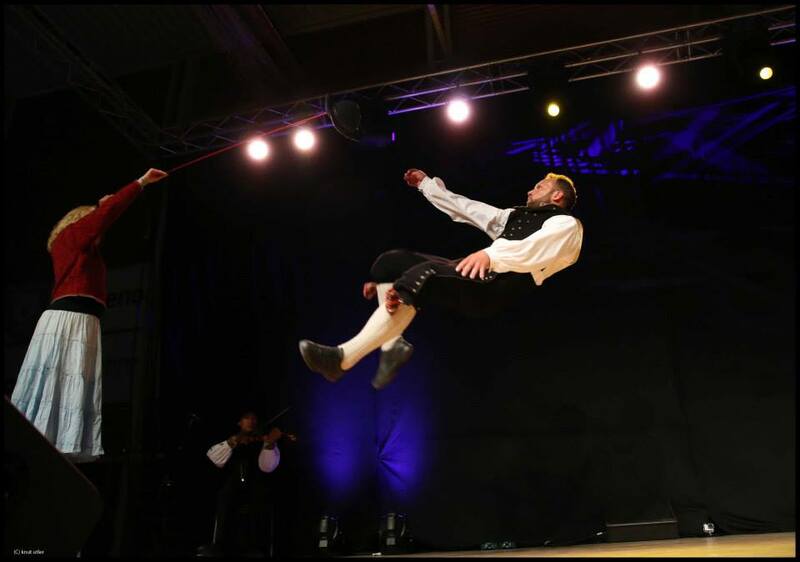 Tom Løvli will be traveling from Norway to dance in the 2016 Christmas Revels. Tom grew up on a sheep farm in upper Jondalen, northwest of Kongsberg. At age seven, Tom began to learn the leaps and kicks of the Halling dance. In 1985, when he was 12 years old, Tom competed in Norway’s national folk competition, Landskappleiken. At 18, he and a colleague made their first appearance in Washington, DC. Over the years, Tom has danced in more than 100 shows across the United States. He has also danced throughout Europe and accompanied the Olympic torch for the 1994 Winter Olympics in Lillehammer. On the way, he kicked the hat so hard that it landed in Queen Sonja’s lap as she sat next to Queen Margrete of Denmark—the Queen laughed while security fumed. In 2003 he became the Norwegian champion for the first time. Tom danced with Washington Revels in 1996, again in 2005, and his Halling dance will be a highlight of the 2016 show. Andrea Hoag, Loretta Kelley, and Charlie Pilzer have performed at concerts and dances across the U.S. and in Europe for over 25 years, including appearances on All Things Considered, Performance Today, and Prairie Home Companion. They can be heard together on their recordings Hambo in the Snow and Hambo in the Barn. Andrea, widely known for her versatile fiddling, is a 1984 graduate of Malungs Folkhögskola, and studied intensively with Swedish fiddlers Päkkos Gustaf and Nils Agenmark. Loretta is America’s foremost player of the hardingfele (Hardanger fiddle), an ornately-decorated Norwegian folk violin with sympathetic strings and a 300-year-old tradition. She has studied with numerous master fiddlers in Norway and placed highly in Norwegian fiddle competitions. In addition to being a nationally renowned audio engineer, Charlie is an award-winning performer and producer of traditional and acoustic music. 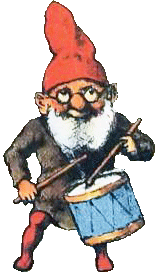 He is a long-time member of Spælimenninir, a folk band based in the Faroe Islands. 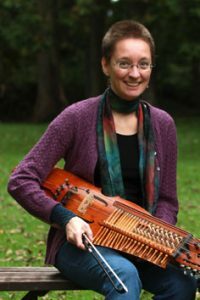 lydia ievins plays 5-string fiddle and nyckelharpa for Scandinavian and English Country dancing. Her absolute favorite thing about playing in either genre is the boundless opportunity to create rich harmonic lines. As an avid dancer herself, she infuses her playing with rhythmic clarity and sensitive phrasing to produce eminently danceable music. Her duo album Northlands with Bruce Sagan features a collection of original tunes inspired by Scandinavian traditional styles. She is a 2013 graduate of the Eric Sahlström Institute in Sweden, located at the epicenter of the nyckelharpa universe; her duo album Fika with Andrea Larson and Trip to Tobo tunebook feature favorite tunes from that sabbatical year. She maintains an active performance and teaching schedule with duo partner Andrea Larson, with whom she has developed a popular intensive weekend workshop for Scandi-interested dance musicians. lydia is pleased to have been awarded a bronze Zorn medal in Sweden for her playing in the Uppland tradition. Matthew M. Nielson is a composer and sound designer for film, television, and theatre. He studied musical theatre in college, but these days the Washington Revels is the only place he can be seen onstage. Off-Broadway credits include The Public Theater’s New York Shakespeare Festival. Regional credits include Round House Theatre (Helen Hayes Award, A Prayer for Owen Meany), Catalyst Theatre Company (Helen Hayes Award, 1984), Forum Theatre (Helen Hayes Award, The Illusion), Theatre Alliance (Helen Hayes Award, The Wonderful World of Dissocia), Woolly Mammoth Theatre Company, Signature Theatre, Cincinnati Playhouse in the Park, The John F. Kennedy Center for the Performing Arts, Delaware Theatre Company, Philadelphia Theatre Company, Barrington Stage Company, Contemporary American Theater Festival, the Smithsonian, Ford’s Theatre, and Arena Stage. Film and television credits include Death in Time, Elbow Grease, Blue, Epix Drive-In, From Hell to Here, The Good Ways of Things and The Long Road. 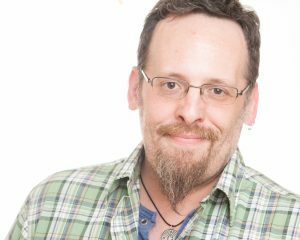 Mr. Nielson is a founding member of the audio theatre company, The Audible Group, and creator of the audio web series Troublesome Gap. He currently runs Sound Lab Studios, a recording studio and audio post-production house. Sarah Olmsted Thomas is a fifth-generation artist and a proud company member of Happenstance Theater. Other collaborations include Bread and Puppet Theater, Center Stage, and the Kennedy Center. Sarah makes puppet shows with her husband Alex that have played Strathmore, LaMaMa, and two National Puppet Slams. Sarah trained with the Pig Iron Theatre Company in Philadelphia and Le Samovar, École de Clowns, in Paris. 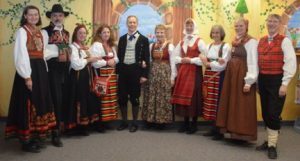 The dancers and musicians of Scandia DC are dedicated to the enjoyment of Norwegian and Swedish couple dances in the Washington D.C. metropolitan area. 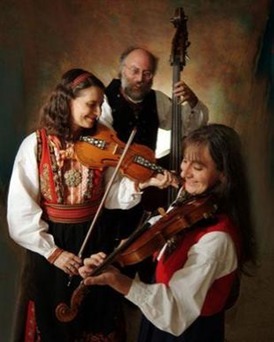 Directed by Linda Brooks and Ross Schipper, the group performs a large variety of dances including gammaldans (a set of Nordic dances that became popular in the late 19th century) and bygdedans (regional and village dances) accompanied by live music. Linda and Ross have been teaching Nordic dancing for over 30 years and have taught and performed in many venues including the Kennedy Center Millenium Stage and the 1996 and 2005 Nordic Christmas Revels productions. They have researched dances from Nordland in Norway, earned the Big Silver Medal in Swedish Polska dancing in 2003, and produced teaching DVD’s for use by group members. Linda and Ross are members of the Nordic Dancers of Washington, DC and teach Norwegian and Swedish bygdedans to that performance group as well. 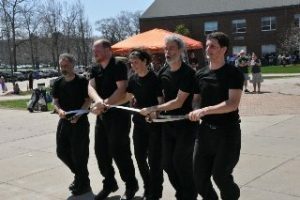 Cutting Edge Sword, a sword dance group from Washington, DC, performs new and re-interpreted sword and percussive dance styles including dances from the rapper and longsword traditions of the UK and Italy. Many of these dances originated in the mining districts of England and feature intricate and fast-moving figures with interlocked swords. Members of the team also perform percussive dances from the US and Canada. The team lives and dances socially in the Washington, D.C. metropolitan area. 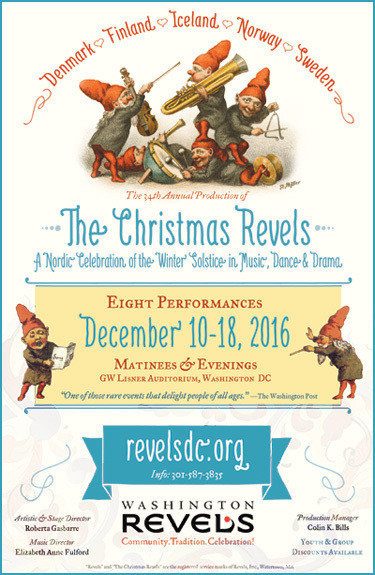 The group has performed numerous times with Washington Revels and remains a favorite of the Revels audiences year after year. The group was founded by David Shewmaker, and current members include David Roodman, Dave Casserly, Jerry Stein, Lynn Baumeister, Ted Hodapp, and Tom Spilsbury, with Sarah Foard on the Fiddle. 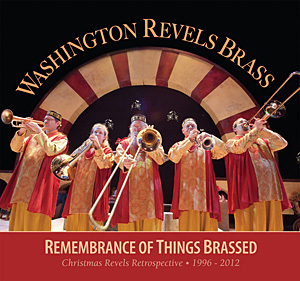 The Washington Revels Brass in roughly its present form joined the Washington Revels in 1996. The players had been long-time friends and colleagues, and the Washington Revels organization was the catalyst that fashioned them into a solid entity. The ensemble views itself in a certain sense as a microcosm of Revels everywhere: they have their own rituals, traditions and personality. They differ from every other part of the Revels only in that their ways are largely invisible to all but themselves.